When it comes to water damage cleanup, it is important that you know what to do and what not to do. The damage that can be caused by a flood often extends far beyond the destruction of your carpet and some of your furniture. It can have far-reaching health and safety effects that are important to know for your safety. 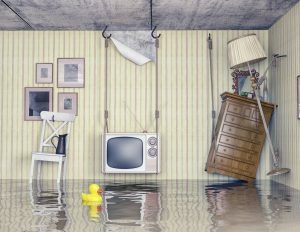 PCS of Southern Connecticut located in the Shelton area is here to help you recover safely and quickly from any water damage issues. Below are five “do’s” and “don’ts” of water damage cleanup so you how to react if you find your home damaged by flooding. Obviously, this must be your first priority if your home is flooded. You should locate the source of the floodwater as soon as possible and then work to stop the flow of water. The more water that floods into your home, the worse the resultant water damage will be. To begin the process of having your home restored after a flood, it is usually not enough to simply air it out. This is especially true in cases where there is a large amount of water in your home. A sump pump is relatively cheap and will pump the excess water out of your home significantly speeding up the drying process. Once the flood water throughout your home has been seemingly dried, it is still important to look for any potential areas for mold growth. Mold flourishes in damp dark places. You should check these areas of your home for excessive dampness or mold first. If you do find mold there, however, you will want to make sure it is taken care of as soon as possible. Otherwise, it has the potential to spread throughout your home. Last, the most important thing to remember in dealing with water damage cleanup is to trust the pros in your area to take care of the issue for you. At PCS of Southern Connecticut in Shelton, our experts are well-equipped to deal with the dangerous water damage cleanup issue. To make your home safe again and quickly have it back to normal, don’t hesitate to call!